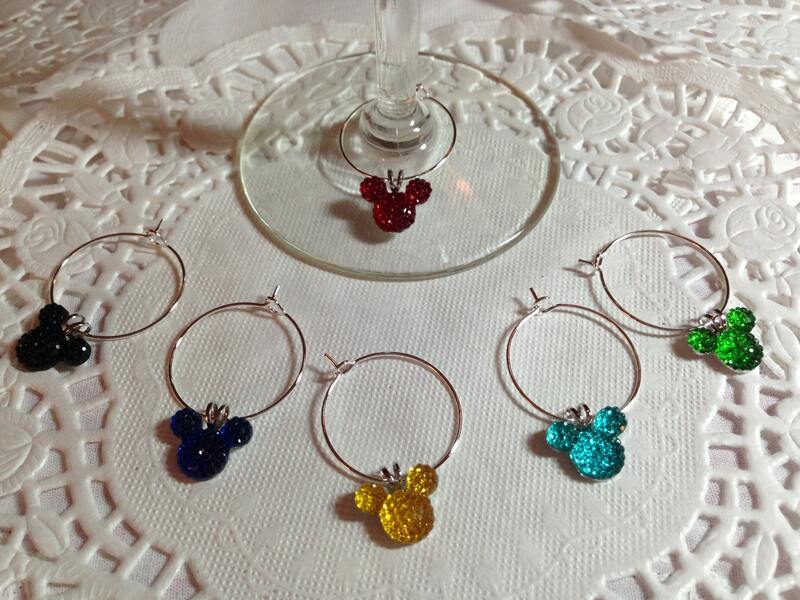 Adorable Mouse Ears wine charms in Bright colors. 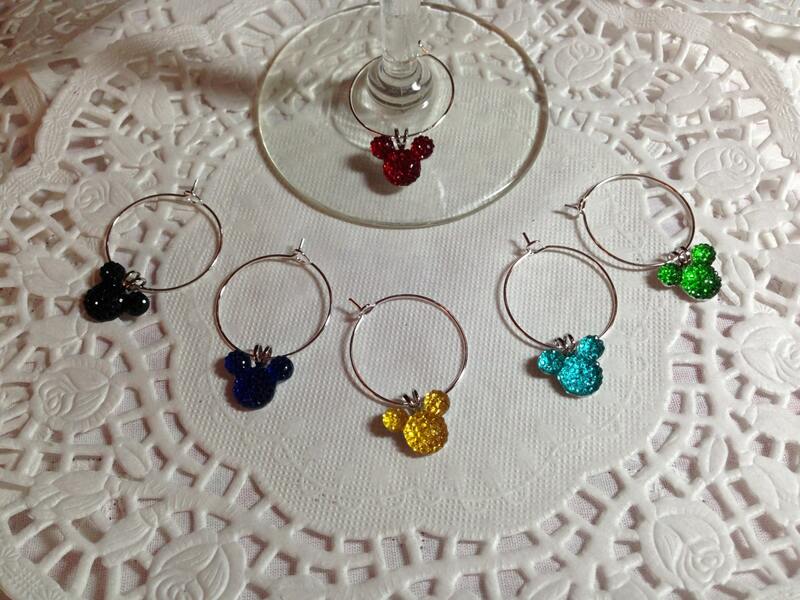 You will receive 6 wine charms in the following colors : red, black, royal blue, yellow, bright aqua and bright green. There are different selections of colors in other listings. 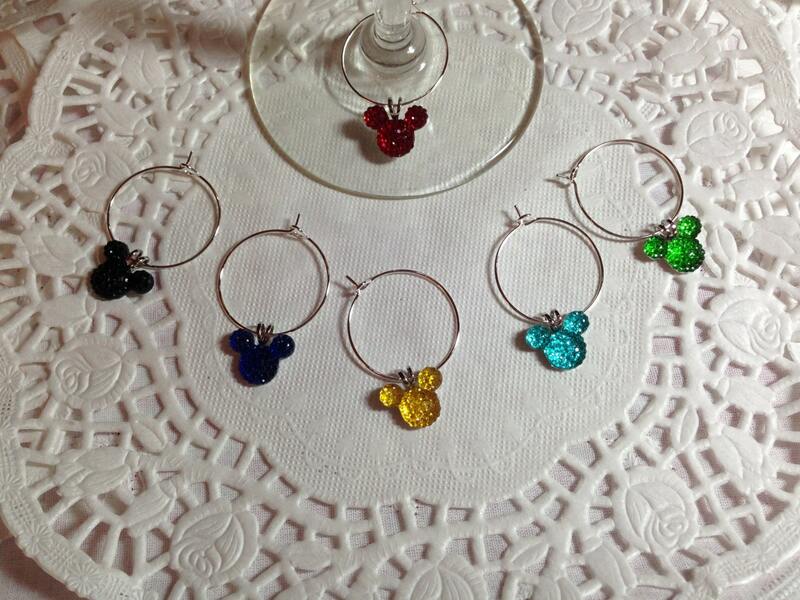 Just search my shop for wine charms. Let me know your favorite colors and I will make a special listing just for you. 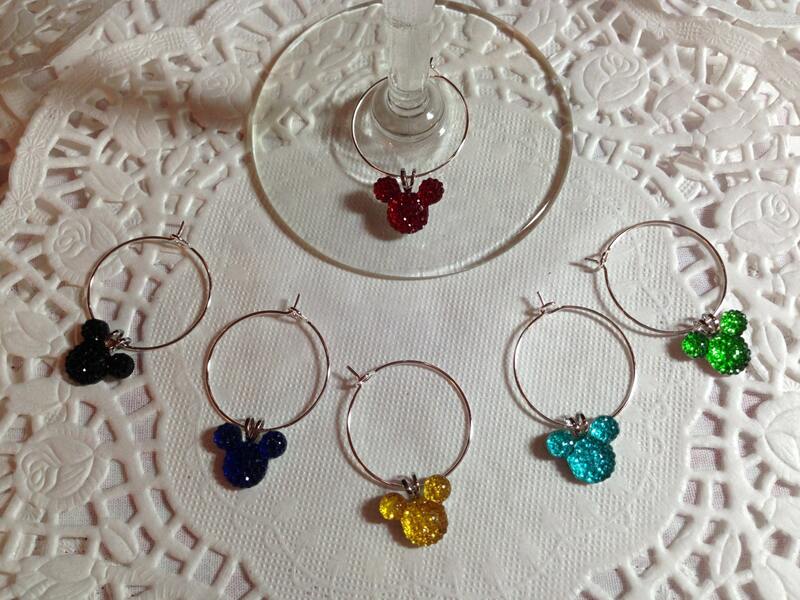 The mouse ears wine charms will be perfect for a themed wedding rehearsal dinner, the bridal party at the reception, or favors for the whole invited list. Also perfect for entertaining if you just love the mouse!